For homes and properties at risk of flooding having flood protection products, such as air brick flood covers, on standby could make all the difference to the aftermath of a deluge. Rytons DamRyt® frame and cover set is easy to install and provides air brick flood defence against the destruction that sub-floor flooding can cause. Flood protection methods may also extend to weep vent covers and weep hole covers to help reduce cavity flooding through Rytons Rytweeps® and Slim Vents®. 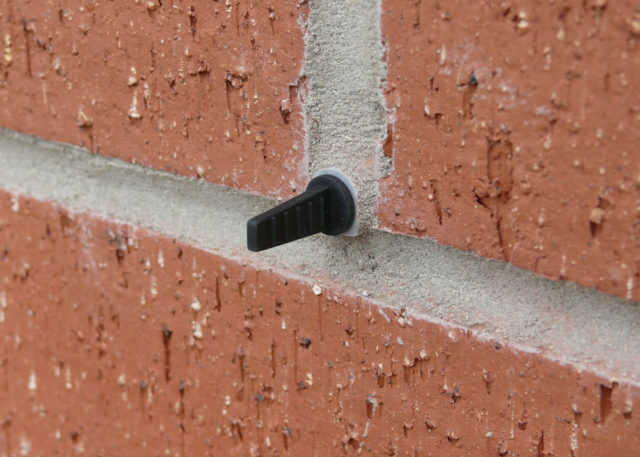 These simple plugs also make great render barriers to prevent weep/vent outlets from becoming blocked during the rendering process.